We Buy Raleigh Junk Cars and Damaged Cars for Cash | Instant Offer Online! Can I Sell a Junk Car in Raleigh? If you can no longer trust your vehicle to take you down U.S. Route 70, then it may be time to consider selling your car to one of Raleigh’s many local junk car buyers. 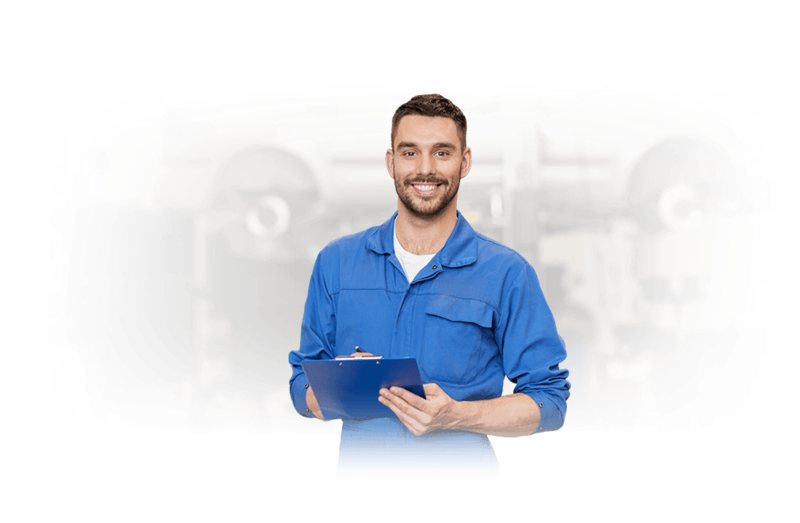 But if you have a damaged or older car, finding a reputable buyer that will give you a fair price for your vehicle can be difficult. And unfortunately, a lot of the businesses advertising cash for cars in Raleigh simply aren't going to give you a fair offer for your car—especially if it has a salvage title or is in rough shape. At DamagedCars.com, we buy junk cars from people just like you, and we take great pride in providing sellers of damaged cars and salvage cars with fair, reasonable, and timely offers for their vehicles regardless of condition. DamagedCars.com is the Raleigh area's one-stop shop to sell cars online quickly and easily. We buy cars online regardless of your vehicle's condition (even if it's not running), and can provide you with an online offer for your vehicle in as little as 90 seconds. Should you decide to accept our offer, we can arrange for a free pickup/tow of your car within 24-48 hours, and you'll receive your check from us upon our arrival! What kind of cars do you buy in Raleigh? 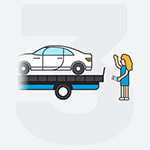 If your vehicle falls into any of these categories and you're having trouble getting fair offers from other car buyers in the Raleigh area, get an offer from DamagedCars.com today! What do I need to sell my car in Raleigh? 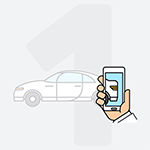 We make selling your car in Raleigh as easy and seamless as possible. According to North Carolina state law, you will be required to provide the keys, title, and vehicle registration at the time of the sale. The license plates will also need to be removed from your vehicle before it is towed or driven away. DamagedCars.com has a great deal of experience in buying cars from people in the Raleigh area, so we're familiar with the requirements and can assist you through every step of the process to ensure a smooth sale. How much can I get when I sell my car in Raleigh? Unlike other junk car buyers in Raleigh, we take everything into consideration when making you an offer. This includes not just your vehicle make, model, and year, but any upgrades you may have made to the car (like those new wheels) as well! This is meant to provide you with a fair offer you can feel confident about. 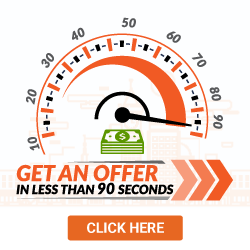 Get your guaranteed online offer TODAY! When you sell your junk car to DamagedCars.com, you'll avoid the hassle of having to find reputable junk car buyers in Raleigh. And because most of these buyers will require you to tow or otherwise transport your vehicle to them at your expense, our free towing/pick-up service can help you get the most out of your offer! Raleigh, what do you do when you have a damaged or junk car and need to sell it? What about when you’re thinking to yourself “I need to sell my car fast”? With winter ice storms, summer thunderstorms, traffic on the Raleigh Beltline and other Wake County drivers, life in Raleigh can be difficult for a vehicle. It doesn’t matter if you’ve been in a collision, have damaged car, blown motor, bad transmission, or just have a vehicle nearing the end of its time on the road, DamagedCars.com can help. No matter if you’re in Raleigh, Durham, Fayetteville, Wake Forest, Cary, Chapel Hill, Garner, Apex, Stanford or Clayton, DamagedCars.com will buy your damaged, junk, salvage or mechanically defective vehicle. Submit a quote to start the process to get cash for your car in Raleigh, a check for your wreck in Fort Bragg, cash for your clunker in Goldsboro or money for your damaged late-model car, truck or SUV in Rocky Mount. We’ll even work with you on what to do after a car accident to get you the best value for your car. Because repair isn’t always the best option, sell your car to DamagedCars.com where we buy cars in less-than-perfect condition in the City of Oaks.. Known as "The City of Oaks," Raleigh is known for its abundance of beautiful oak trees that line the streets of downtown. Where do you buy junk cars in Raleigh? We purchase cars all across Raleigh and the surrounding areas, and our free towing/pick-up services extend beyond city limits as well. We can pick your car up at your home or other location of your choice! At DamagedCars.com, we pride ourselves on quality customer service. With nationwide service and free towing we make the process of selling your junk or damaged car easy and quick. Just submit your basic vehicle information on the form to the right, agree on a purchase price, and we verify ownership. Then, we pick up your car using a local Raleigh service provider and pay you with a check on the spot. Every state has unique requirements for transferring a title. North Carolina is no exception. When transferring a title, accuracy is essential. North Carolina titles require the seller sign the back of the title on the upper middle section where it is marked “SELLER’S SIGNATURE”.Anyone listed as “Owner” on the front of the title must sign as “Seller” using the same name shown on the title. Only the “Owner” can sell a vehicle, and the state of North Carolina requires a title for the sale of any car, truck or SUV. So, if you don’t have the title, before you sell your damaged car, you need to make your way to the nearest North Carolina DMV location for a duplicate title. To find the North Carolina Division of Motor Vehicle’s Office near you, visit the North Carolina DMV website. What should you know before selling to a junkyard or private buyers in Raleigh, NC?